Tami White became a Stampin Up demonstrator in September 2003. Since the beginning she’s been dedicated to teaching and inspiring others through creativity. She works full time as a Stampin Up demonstrator, while supporting her 2 children as a single mother. Tami is the Group Leader of the Stamp It demonstrator group. The Stamp It group is made up of hundreds of demonstrators spread all over the United States. The group is a mixture of hobbyists and business demonstrators who all share a passion for paper-crafting. 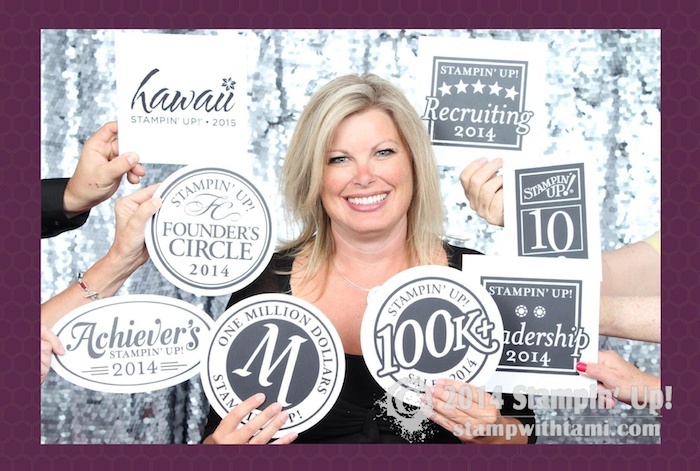 In February 2018, Tami became the first demonstrator in the history of Stampin Up to reach $2,000,000 in personal career to date sales. She has earned Stampin Up’s highest awards for over a decade, due to her dedication to her customers and demonstrators. In September of 2013, Tami became the 4th person ever to sell $1 Million personal sales!